Express reports that Erima will, for the second-consecutive year, produce a special jersey to celebrate the Bundesliga’s Karneval club when the rapidly approaching Karneval season opens. Mainz, we both know you are but a pretender to the title. So please spare me your protestations about my wording. Last season’s Karneval jersey, as seen above, was worn in a handful of contests beginning with the early November match against Union Berlin and, of course, was available as a limited edition merchandise item through the club’s fan shop. The jersey was shipped in a special box with a red clown nose, maybe helping to off-set the higher price (99 Euro) of the item in compare to the standard home, away, and third jerseys (69 Euro). After the limited edition was sold out, there was a second run of the jerseys made available. You have to assume that their becoming again available spoke to their popularity. This is probably also true for why they’re returning this season and likely indefinitely into the future. There would seem to be little down-side to making it an annual event. Admittedly, the jesters hats shadowed into the white field, the Köln coat of arms, and even the Karneval motto printed on the inside collar of the shirt all had me lusting heavily after it, despite me generally not wearing sports jerseys anymore. I thought all the jerseys last year were nice, to be honest, but this one really did hold special appeal to my eye. One of the charms of the club is how they’ve embraced the charge of “you’re just a Karneval club!” and made it into an endearment. You are damned right we are a Karnevalsverein, and we are proud of it. Remember how you said that when the revellers come to your town and take points, too. How will it be topped this year? We will have to wait to see, but the report says that this year, unlike last, there will be shorts to go with it. Last season (correct me if I’m wrong), it was just the red away shorts, which looked fine. Yet, the creation of shorts to go with is an added element of excitement. Express also says will also be a jacket, which is clearly an enticement for people like me who know they should not and, hence, do not wear jerseys. A coat, though? That could be trouble. The word from Express is that the gear will debut Sunday, 2. November in the home match against SC Freiburg. I cannot honestly recall whether images surfaced before they were worn by the players on the pitch, but if they do this year, you can bet I’ll be sharing them around immediately. Be the first to comment on "Another Special 1. 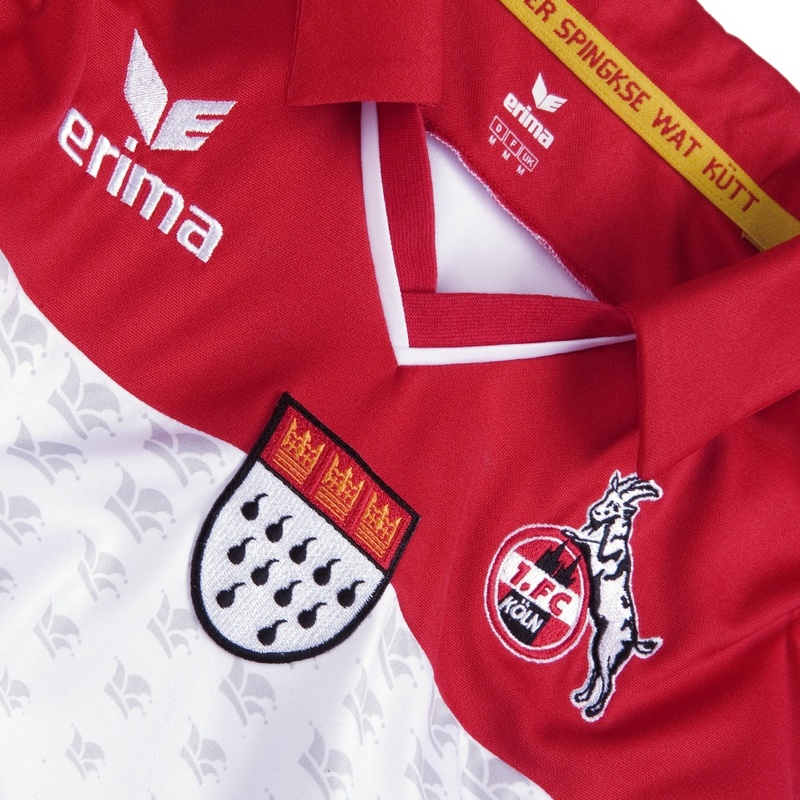 FC Köln Jersey for Karneval?"